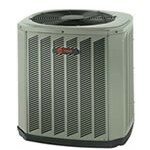 Trane has a reputation for quality that extends from the top of their lineup to the most affordable units they produce such as the Trane XB13 Heat Pump. It offers good efficiency and very dependable service, with components that are built to last. Homeowners and contractors have excellent success with them, as Grant points out in his letter. He adds his Trane XB13 Heat Pump price to our HVAC Prices database and talks about is experience. “Two years ago I put a Trane XB13 heat pump in my parent’s house here in Texarkana. We’ve had two really hot, dry summers in a row and that little unit has been a workhorse for them. Last spring I put XB13 heat pumps in 3 rentals I own plus my own home and have not had a single issue with any of them. The efficiency isn’t great but it’s better than what I had in any of these homes prior, so utility bills are down every month. My renters are happy; I’m happy. Plus, these units heat well enough to handle the cool weather here quite nicely—something older heat pumps didn’t do, IMO. I’ve got 2 more rentals that need new units and I won’t even get other heat pump prices. I’m sold on the XB13. Here’s the details on the last one I had installed. Low initial costs – important to me because I often sell the rentals I have to the renters. Climatuff scroll processor with workhorse durability and fairly quiet operation. Durable Spine Fin outside compressor. Units tested at the factory before being shipped. Sizes from 1.5 ton to 5.0 ton (18K to 60K Btu). I’ve used 1.5/3.0/4.0 ton and all work equally well. The XB13 now has R-410A refrigerant. Galvanized steel cabinet, powder-coated finish and Duratuff non-metal base pan all promote durability and longevity. Warranty covers the compressor for 10 years and other parts for 5 years. Thanks for the information and insight Grant! It’s always great when we can learn from others’ mistakes. Having a qualified contractor do the installation will save you hassles and may save the unit altogether. Plus, if it does quit before the warranty is up you won’t be left holding the bill! Always get the most from your HVAC units by having them installed and set up by an experienced professional.